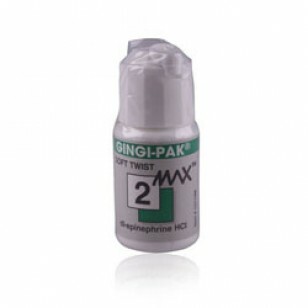 Each bottle of Gingi-Pak Max Soft-Twist contains 108 inches (274 cm) of cord. 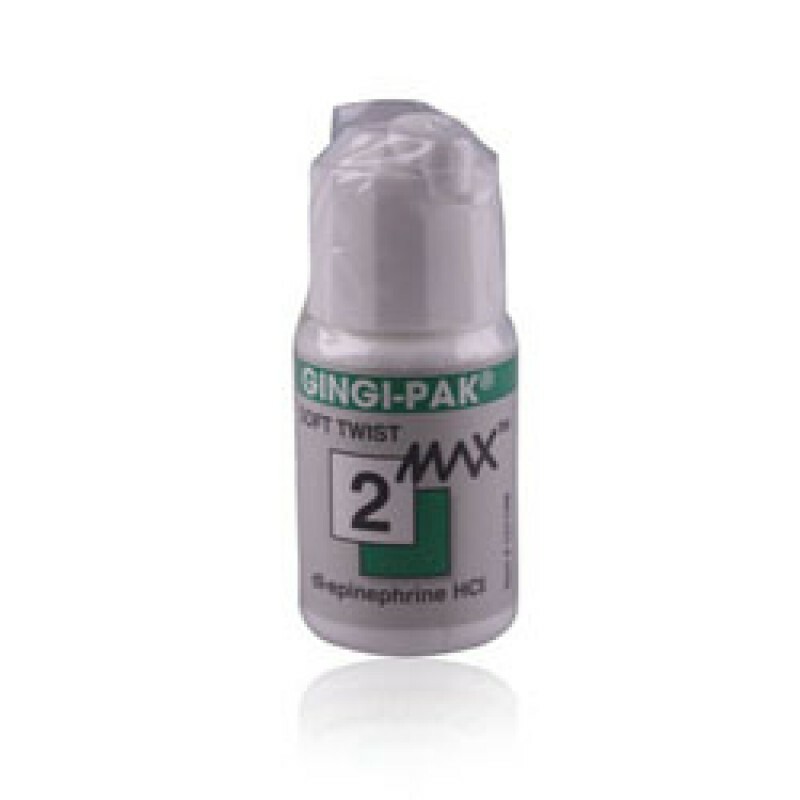 Gingi-Pak Max Soft-Twist Cord with dl epinephrine for hemostasis delivers a consistent dosage of 0.5 mg of solution per linear inch. -Plain cord or dl epinephrine impregnates for hemostasis. -Hand-impregnated to deliver consistent dosage: no dry spots. -Available in three easy-to-pack sizes: thin (#1), medium (#2) and thick (#3).